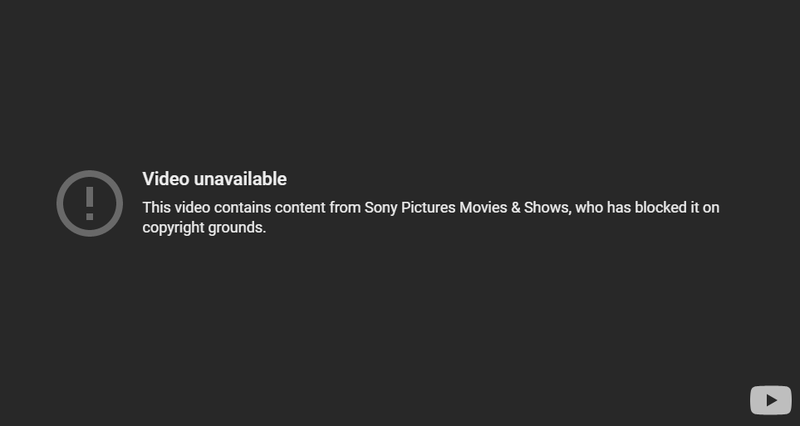 Sony has apparently decided that you can't see its anti-piracy propaganda, because it might be pirated. The band, who are so upstanding they named themselves after an illegal drug, proceed to lecture the youngsters on morality and righteousness. Can these people still see themselves in the mirror, or is that not possible anymore?